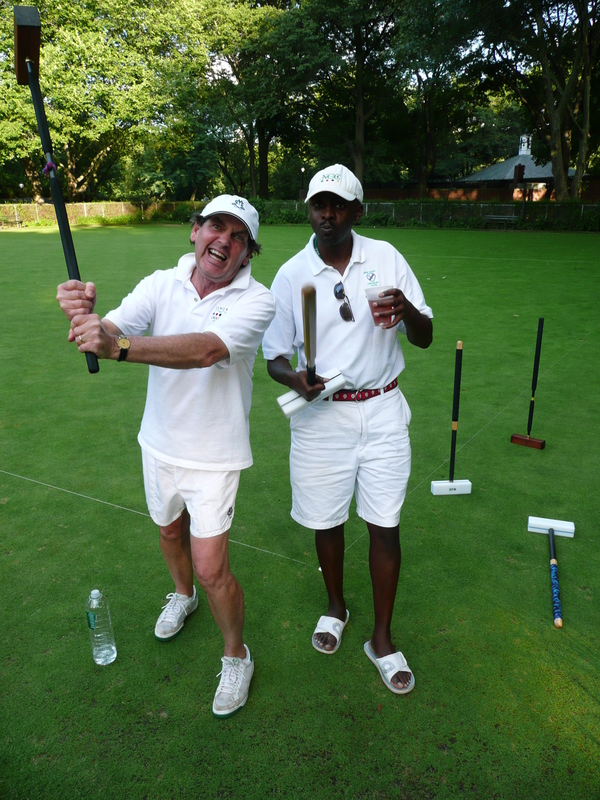 While the New York Croquet Club is a social club, it is also a competitive club, and hosts many tournaments. Among them are Invitationals, Mini-Tournaments and Affiliated tournaments. Each year the club produces one or two 4 day tournaments that are open to all USCA members. The Clayton Cup occurs in the Spring and the Osborn Cup occurs in the fall. These tournaments are USCA sanctioned and almost always have a dedicated tournament director. 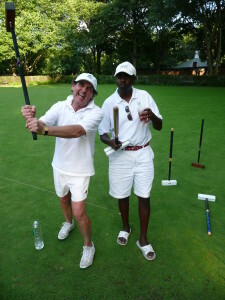 The Mini tournaments are usually 1-2 days in scope and are for the benefit and amusement of club members only. Hosted by the Mini Tournament Committee, the events are typically nominal in cost to cover lunches and/or trophies. While the number and variety of mini tournaments vary each year, there are always the President's Cup, which is a 2 day doubles tournament at the beginning of the season, and the Club Championship, which is a 2 day singles tournament in the middle of the season. Look here for news on current mini-tournaments. Affiliated Tournaments are typically District and Regional USCA events that use the club lawns.